Do you know how much sales tax Amazon has helped Americans avoid since Jeff Bezos started it in his garage in 1994? In truth, it’s certainly more than that. That eye-popping figure is a straightforward calculation from Dean Baker and Evan Butcher of CEPR, the Center for Economic Policy Research. They figured it out in 2015, which means that they only had access to Amazon’s financial records up to 2014. However, enough loopholes were closed across the U.S. that Amazon began collecting sales tax for every state that levied it by the spring of 2017. But even as Amazon gave in to the demands of state tax authorities, other online retailers continued to skirt the rules. Altogether, online retailers avoided $17.2 billion in state sales taxes in 2016 and as much as $13 billion in sales taxes in 2017. Amazon avoided paying more than $20 billion in sales taxes for two-plus decades, and other e-commerce companies likely avoided paying far more than that. In the last two years alone, U.S. states lost out on as much as $30 billion in tax revenue. That’s enough to end world hunger for an entire year. However, the halcyon days of sales tax avoidance are finally over. On June 21, the U.S. Supreme Court ruled that online retailers can be forced to collect sales taxes in any state, even if they don’t have a physical presence like a warehouse or distribution center in that state. South Dakota v. Wayfair, Inc. essentially overturns the landmark ruling of 1992’s Quill Corporation v. North Dakota, which originally paved the way for e-tailers to avoid collecting all those billions in sales taxes. It’s a neat bit of synchronicity that the Dakotas are responsible for both starting and ending the game of sales tax evasion that e-tailers played for more than 25 years. Who are the real winners here, besides the states that can finally collect billions of dollars in sales taxes that had previously slipped through their fingers? Would you believe it’s Amazon that could see its fortunes surge from this legal reversal? Amazon has done far better at enforcing sales tax collections than many of its online peers. As I already mentioned, Amazon has been collecting sales taxes for every state for more than a year now. That hasn’t stopped them from continuing to grow at an incredible rate for such a massive company. Amazon’s most recent quarter, which ended this past March — a year after it began collecting sales taxes everywhere — showed a year-over-year growth of 33 percent in product sales revenue. That’s the same year-over-year growth rate Amazon reported from its 2016-2017 fiscal years. Wayfair, the plaintiff that ruined sales tax avoidance for everyone else, grew faster than Amazon in its March quarter, but Amazon had 22 times more revenue just from product sales. Amazon’s booming cloud service business alone earned nearly 14 times more revenue in the March quarter than did Wayfair’s entire operation. Experts who spoke on the ruling generally lined up on Amazon’s side, predicting that competitors like Wayfair and Overstock.com will be the ones to feel the pain of mandatory nationwide sales tax collection. 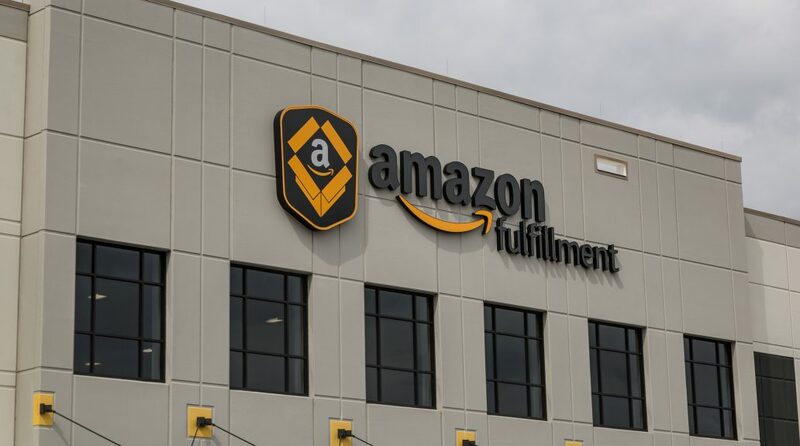 If anything, this ruling is one that’s likely to be most harmful to younger and smaller e-tailers, who have yet to develop the brand loyalty or widespread distribution networks Amazon leverages to maintain its leadership position in the e-commerce industry. It’s one of a number of recent tech industry rulings, such as the FCC’s net neutrality rollback, that favors market leaders at the expense of upstarts. The net impact of rulings like South Dakota v. Wayfair and the end of net neutrality will likely make it more difficult to compete with established tech-industry market leaders. It’s no coincidence that AT&T moved to acquire Time Warner almost immediately after net neutrality policies were rescinded. The uncertain sales tax landscape for the many third-party retailers who sell their products through Amazon’s platform may wind up consolidating more of these niche e-commerce sales under Amazon’s umbrella. All in all, it’s hardly a great time to be a tech startup in 2018, particularly if you don’t have some serious money on your side. The rules certainly seem to be changing to favor incumbents, who’ve already moved to capitalize on regulations that favor their superior size and extensive infrastructures.